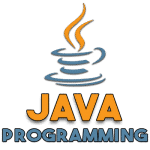 java.lang.Math.abs() method is used to find the absolute value of a double number for the given input (x – parameter) in Java. If argument is not negative, the argument is returned as it is, but if the argument is negative then the negation of argument is returned. abs() method exists in Math class of java.lang package. *Find the absolute value of given input(double) by importing the java.lang Package. x – Where x is any valid double input value. This parameter is required. If the x parameter is not a number abs() method returns an error. If there is no argument (x – input value) passes to the method, the compiler will produce an error. abs() method returns the absolute value of a double number for the given input (x – parameter).